In profiling three brothers who once worked on Apple's Siri team, but now work on Titan, The Information quoted sources as saying that while the company was aiming for a 2020 rollout, problems have forced a delay. Among these is the departure of one-time Titan leader Steve Zadesky in January. The brothers at the center of the story —Brian, Kevin, and Michael Sumner —have reportedly been developing software to capture the tremendous amounts of data Apple cars will generate, and may also be involved in buying and configuring servers for that purpose. It's speculated that data will be uploaded to Apple servers, allowing the company to evolve autonomous driving technology and boost its accuracy. The report suggests that Apple will have to dramatically improve its cloud infrastructure if it wants to handle all of the demands of a self-driving car in-house, unlike Tesla, which offloads some data tasks to Amazon Web Services. A single self-driving vehicle can generate anywhere between 2 and 10 gigabytes of data per mile, according to the CEO of DeepMap, a company specializing in mapping technology for self-driving systems. 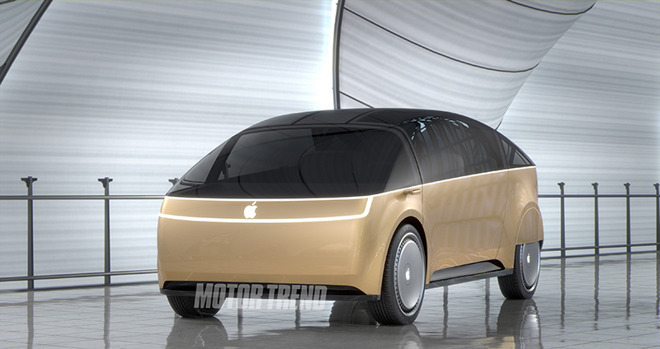 It's not yet clear, though, if the first-generation "Apple Car" will actually be self-driving. Past reports have indicated that the first model might be semi-autonomous at best, though the company is at least believed to be developing self-driving systems.